We have now repaired, or totally rebuilt many different types of iron, or steel truss type bridges. Some have been pony truss design, or through truss design, the difference between the two being that the pony truss does not have a top on it, and a through truss does have a top on it, and you actually drive THROUGH it. 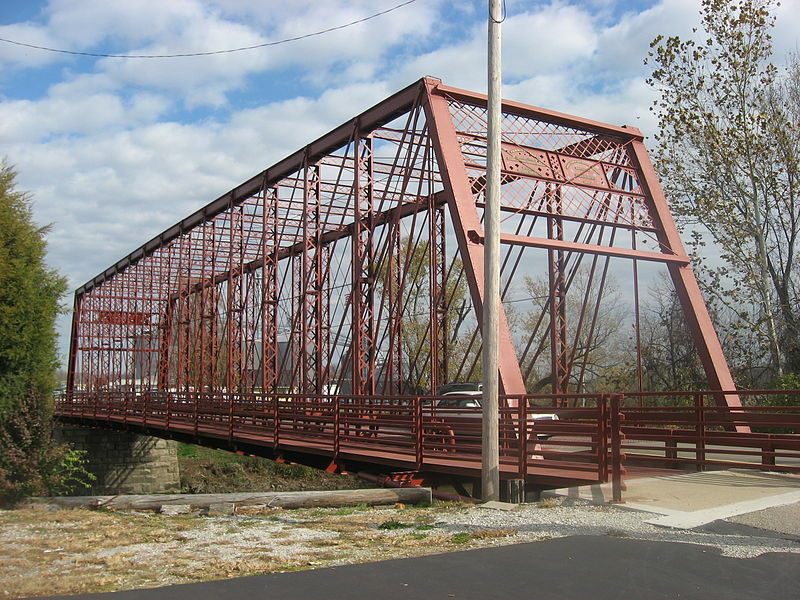 There are many different designs of the pony and the through truss bridges, one of our projects was different, it was a bow truss design, originally manufactured by the King Bridge Company. 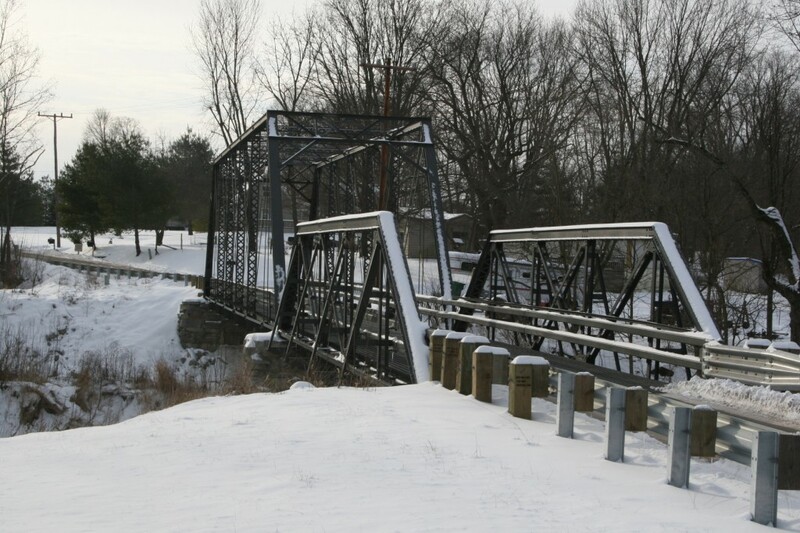 We also have a page showing some pony truss bridges that we have for sale.